MAXIM stands for maximum performance, innovative ideas, and close contact with the climbing scene. This was also what we aspired to when redesigning the MAXIM website. The new www.maximropes.com is now online, and the result is something to write home about! Our new MAXIM website keeps pace with the latest trends. 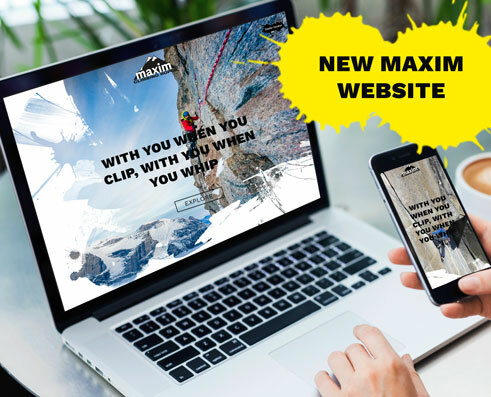 Cool design, comprehensive contents for customers and prospects, and social interaction strengthen the brand and position MAXIM as an expert in the climbing segment. Following the principle of "Don’t make me think", we focused on giving the website a clear structure and providing it with a fast search function. Visitors will find the information they are looking for in the fastest way possible. The website's modern design relies on large-sized images and allows users to dive right into the unique world of MAXIM. Appealing visual, animation, and color effects point out specific highlights. In addition to providing product information, the new website also keeps visitors updated with tech tips, news, social media feeds, as well as background information about the MAXIM team. If you would like to receive additional information, you can sign up for the MAXIM Newsletter. The new MAXIM website has, of course, been optimized for use on tablets and smartphones and adapts perfectly to any such device. Simple Navigation: Products can be looked up via the product category (e.g., Dynamic Ropes) as well as via the desired activity (e.g., Gym Climbing). This way, climbers can find the perfect ropes for their needs in no time at all. In addition, the website features a comprehensive search function. Product Presentation: Clearly structured product pages form the centerpiece of the website. They feature appealing images, a zoom-in function to the rope pattern, and product-specific downloads. 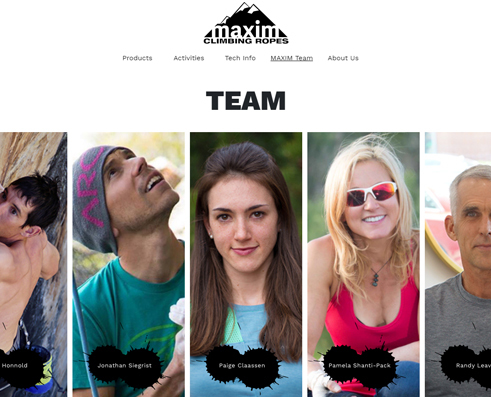 Climbing Team: Top climbers such as Alex Honnold, Jonathan Siegrist, or Paige Claassen rely on MAXIM. Detailed background information and an integrated social media feed provide website visitors with the latest news about what is happening in our team. 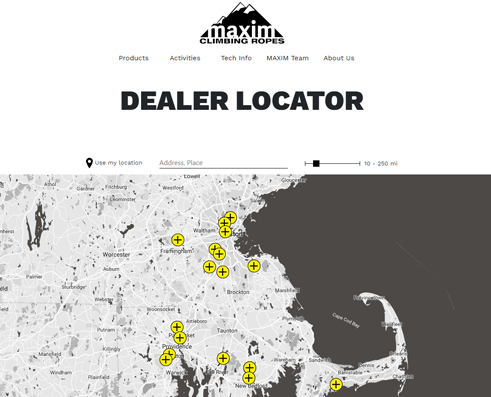 Dealer Locator: The international dealer search function helps visitors find the store closest to where they are, fast and easy. The Dealer Locator also calculates the route to get there. Tech Info & Newsletter: Detailed information about our ropes and technologies, tutorials, videos, and reports provide important tips and info on how to correctly use and handle the ropes. This area is constantly growing and complemented by a regular newsletter.